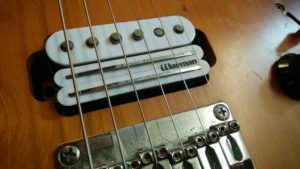 After leaving my Yamaha 120SD with just one pickup, I decided it was time to expand the offering of what the single bridge pickup could offer. I had to remove the neck pickup and fill the cavity with a wooden block because there was a split in the body causing the neck to bend. 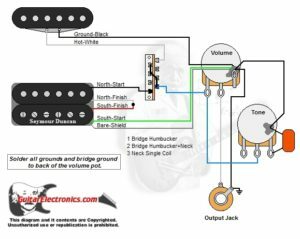 After pondering my options – the first being another humbucker, but one I could coil split – I started to get more adventurous and wondered if I could cram in two single coil pickups into the single cavity, or possibly even two lots of rails. Then I thought, what about if someone’s invented a quadbucker! It seems they have, but not called that. So I was all set to buy one and see about getting it installed. Until a forum post let me to the G-Rail from Warman. The novelty alone struck me as a good idea, but it idea of having a true single coil as well as the rails sold me on it. So I got one and fitted it, see the following video to see that process. The result is perfect! From the second I strung up the guitar and started playing I was in love with the guitar again. 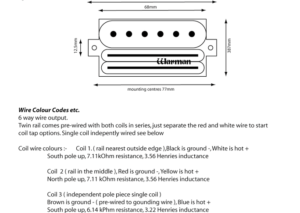 The single coil was all harsh and clangy, the rails warm and full. The middle position I wasn’t sure about, it seems like the two are negating each other out of phase or something? It sounds like it, especially when I compare it to Prince playing When You Were Mine. It’ll give me an excuse to learn some different song styles. To hear a variety of sounds from the pickup see the following video I’ve prepare to demonstrate. The pickup is available straight from Warman or they sell them on eBay. I was going to try to draw a wiring diagram, but actually if you cross reference the two following diagrams it would probably be less misleading.